In May of 2011 I contacted http://www.servicemagic.com, where you get matched to a screened and approved contractor for the kind of project you are looking to complete in your home. I was searching for a tile contractor to re-grout my twelve year old bathroom and was given the names of three contractors from their “approved” list. After receiving quotes from two of the three, I chose Sauter Custom Tile in Mason Ohio because his quote was the best and his website showed beautiful work. When I met with the owner, Todd Sauter, he also had beautiful pictures of his work on his telephone. Once he came to start the work we ran into a snag in removing the old grout and he suggested replacing the tile completely as it would cost less than trying to remove the old grout. He would give us his “contractor” discount on the actual materials and could start the job immediately reducing the down time on the bathroom considerably. We chose a beautiful classico ivory matt finish with a glass aloe green accent stripe with a small somerset edge (like a chair rail) at eye level through the entire bath. It was an exquisite design that went wonderfully with our color scheme! Before I realized that Todd’s attention to detail was ridiculously low, I had also contracted and purchased tile to do the back splash in the kitchen as well. I had to call his attention to multiple issues in both the kitchen and bathroom that were obviously done incorrectly and several times, with what I feel were ultimately, disastrous results. 1. Upon his return on Monday he seemed surprised, even confused he would have installed such a crooked recess and apologized for his mistake. He assured me that once the bull nose was grouted the apparent haphazard nature of the installation would be seamless to the naked eye and not to worry. Rather than take a chance on another problem with the recess, I asked him to remove the stripe and install a complete aloe green glass background which actually cost me $30 in extra materials which he never offered to repay me for. The final grout job on the bull nose was in fact TOO UNACCEPTABLE FOR WORDS and I did call him back and asked him if he would want that in his own bathroom to which he replied, no. So I asked him to tear it out and re-do it. (sorry, no picture of that one as I lost my hard drive) The second time was somewhat better, certainly not perfect, but I could not take the chance on another attempt so it is with regret that I decided to try to live with it. My husband kept cautioning me if he could not do it right the first time why would I keep calling him back to try to fix things a second, third and fourth time, but I felt I paid for a service and wanted to be satisfied and certainly wasn’t going to pay someone else after I paid Todd. Here is a picture of the final recess. You tell me if you feel it was a job you could live with? Please notice the difference of the grout in the right and left corners and the dreadful caulk job in the corners of the glass – and it is hard to see but the bull nose on the bottom of the recess is not flat and seam less as it should be – and that was his second attempt!!!! Had this been done correctly, it would have been beautiful don’t you think? 3. 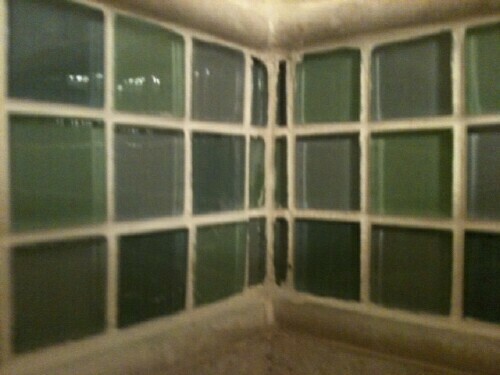 The green glass tile was broken in the corner. Again he assured me I would not notice the broken glass once it finished with silicone caulk – this was the finished product once I asked him to neaten up the caulk – I ask you would this be acceptable if this were your bathroom? 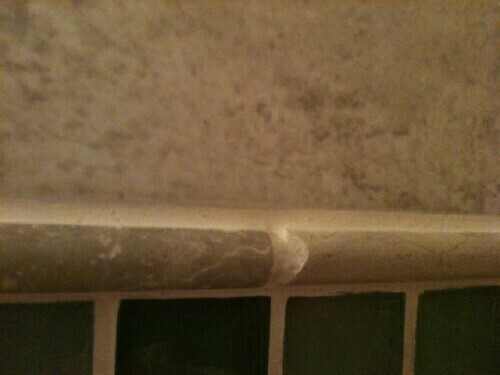 When he came back to grout the spots he missed he tried to short cut by using silicone caulk instead of grout. (By this time I knew to watch him like a hawk) When I saw the transitions didn’t match in either color or texture and called him on it – he was literally “caught in the act” and forced to use the grout as he should have in the first place. Just another incident of him “cutting corners” rather than doing it right the first time!! 5. 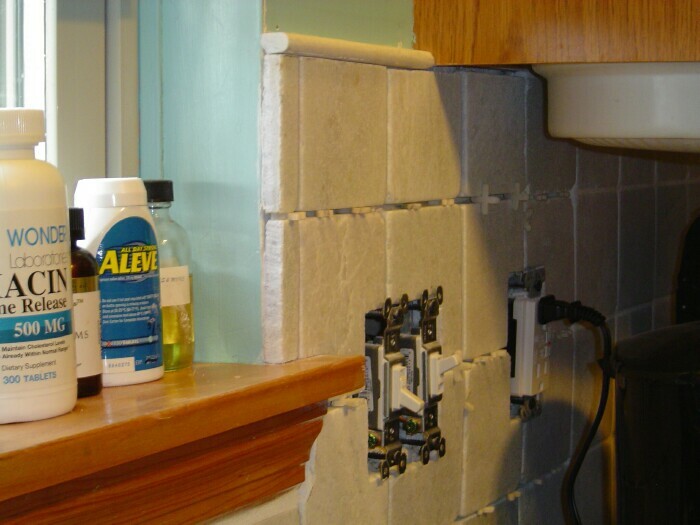 He installed the shelves in the corner with silicone caulk, taped them to the tile and let them sit for a day. When he came back to remove the tape the following day he was “shocked” they had not held. He came to me and explained he would have to reattach them as he first used silicone that was outdated blaming Home Depot for the problem by selling him outdated tubes of silicone. However, I firmly believe it’s the responsibility of a contractor to insure the materials he uses are compatible with the application and most certainly within date specification of the product prior to application. He has no business blaming Home Depot for his obvious oversight. Also, I was told by another tile contractor that the shelves should have been cut into the tile not “glued” onto the surface in the first place and we will probably have an issue with them coming loose in the near future. 7. The bull nose coming out to the wall is ¼” short as shown in the picture below. When I questioned him, his response was “This is the way I like to do the tiles that border the walls.” As you can see by the picture below, it’s just another indicator of not calculating his tile usage correctly and being too lazy to do the job right the first time. 8. 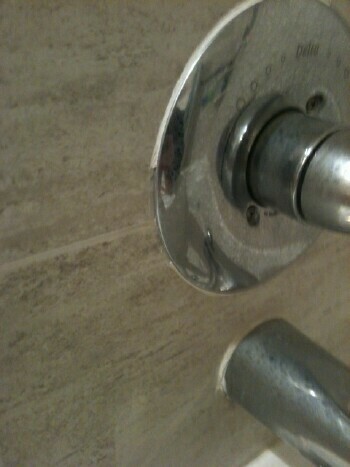 He grouted around the fixtures in the tub and now they are cracking and dropping off into the shower. 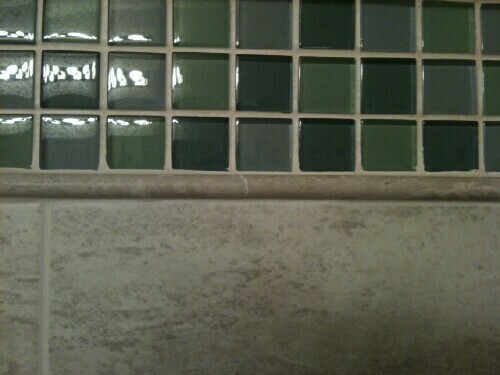 He should have used silicone rather than grout. I could not get him to honor his guarantee so I will now have to pay to have someone come in and remove what little grout is left and then silicone caulk the fixtures as they should have been in the first place to insure I don’t experience water leakage. 9. He left grout, caulk, and grout dust all over the tub, walls and floor from the bathroom all through the hall to the outside of the house. There was so much gook on the tile we were unable to get a suction cup to it adhere to it! 1. He miscalculated the total square feet of tile needed to complete the kitchen a total of three times necessitating three extra trips to the tile store and a lot more money than initially planned. 2. The tiles installed above the stove were uneven and I had to ask for them to be removed and reinstalled. 3. 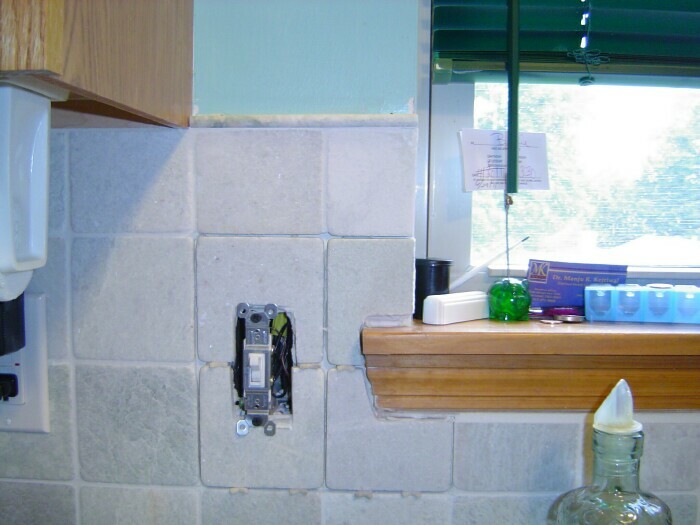 He grouted the splash screen above the stove to the wall. 4. Tiles under the cabinets were installed unevenly, some were as much as ½ inch from the bottom of the cabinets – I was very upset by this and Todd said I shouldn’t be as no one would ever see underneath the cabinets unless they strained their heads underneath to look – I insisted they be taken out and replaced, much to his chagrin. 5. 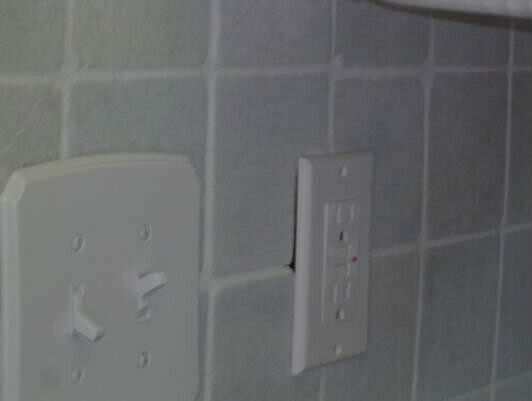 One wall socket was not securely fastened to the electrical outlet – when he announced it was fixed, I tried to plug something into it and it promptly came out of the wall as he neglected to connect the outlet with the screw to the inner wall – so much for attention to detail!!!! 6. 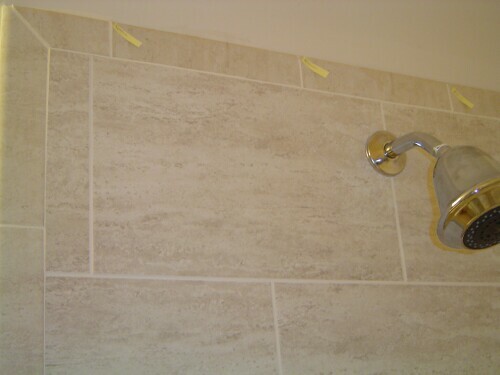 He grouted the wall plates to the wall explaining it decreased moisture intrusion. We never heard of or saw anything so strange in our entire lives and since they mixed the grout at the wrong consistency (too dry), not a week passed before the grout cracked and fell on the counter. 7. 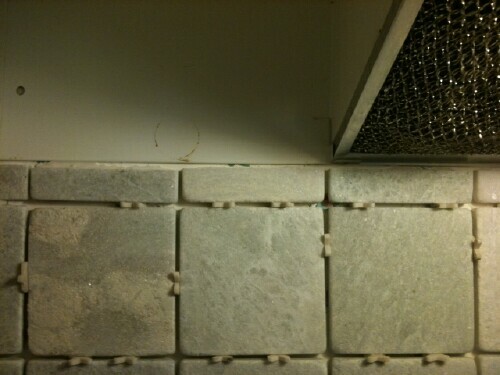 The grout was applied considerably heavier in the corners of the kitchen and we had to dig it out causing an awful mess. 8. Grout and grout powder was left all over the cabinets, floors, rugs, and hard wood floor from the kitchen all the way to the front door. 9. He used the worst tumbled tiles in the most conspicuous spots in the kitchen despite the fact that we discussed my aversion to those types of tiles being used when he first started the kitchen project. When I asked him to come back and replace those unacceptable tiles he refused to do it free of charge as I had posted a VERY negative review of his work on servicemagic.com. Instead, he blackmailed me into taking down my disparaging comments from Service Magic site before he would come to replace them. 10. Take a quick look at the space under the shelf and then compare it to the picture below – see a big difference in the spacing? Again, Todd was chagrined at my displeasure about the difference and didn’t quite know how that happened…. 11. After he replaced the “bad” tumbled tiles in the kitchen, we waited several days for them to “cure” before we replaced the face plates. 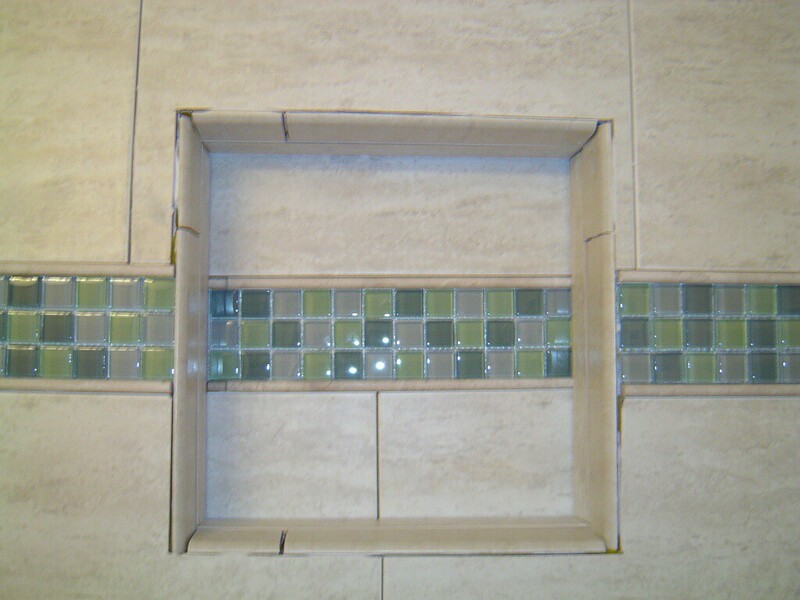 When we did, we realized he cut one tile too short and the face plate would not fit over the short cut. 12. Lastly, the grout at the counter edge all over the kitchen has just begun to crack in the beginning of March 2012 – after 9 months – I have a 12 month guarantee. 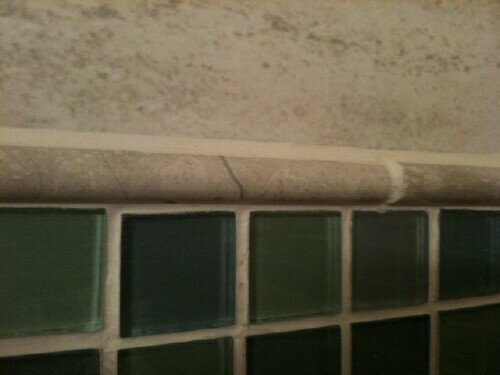 When I emailed Todd the pictures and asked him to come and fix this problem he told me to re-grout the counter myself!!! How is that for customer service? Subject: Re: Need some help please…. When do you return and when can you then come by? Being in Atlanta should not preclude you giving me an answer….. When will you be back in Ohio so YOU can re caulk the edge – you guaranteed your work and the work is faulty and needs YOUR attention, not MINE. What about the issues in the bathroom you can’t possibly say the root cause is movement in the bathroom as well? Regardless, your work IS guaranteed for one year and my check is dated June 2, 2011. Since you are out of the state at the time this problem has been noticed (well within the one year guarantee period), you DO have an obligation to correct it. It’s not my concern that you aren’t in Ohio now. Please contact me for an appointment to correct this problem as soon as your return on August 3rd. Todd – I do expect an answer to my question regarding the bathroom problem and a confirmation that you will call me upon your return in August…..I don’t want to have to chase you around; after all you are a professional and should stand behind your work as a professional. 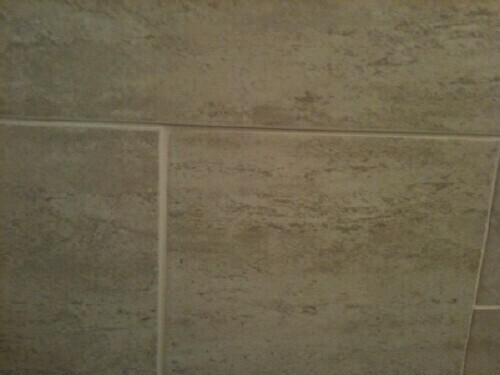 I believe you can visualize my disappointment in Todd Sauter and Sauter Custom Tile by the many photographs of both my bathroom and kitchen projects and why I close my eyes and/or cry each time I shower. This is certainly not my imagination or a misunderstanding on my behalf. I let him know the unacceptable issues as they appeared and asked him to correct them. During each step of the project he assured me they would be non-issues and would not be noticed upon completion. As you can see by the pictures, I was consistently told whatever Todd felt I needed to hear just to keep me quiet until he could get his check. I see by the service magic site and his other positive reviews that he has completed projects to others satisfaction. Certainly NOT mine. Take your chances with whether he’ll treat your project the way he treated mine or hope that your project will go the way it should – based on this review I highly recommend selecting another contractor. In fact I have a recommendation, Greg Neuman of ReNeu Contracting in Batavia – 513-520-0705 – does great work, good prices and is reliable. Knows what is he doing and NEVER tells you otherwise. Give him a call for a bid you won’t be disappointed and please tell him you heard of him from his friend Bernie. Best of luck on your project! This entry was posted on March 25, 2012 at 11:03 AM and is filed under Uncategorized. You can follow any responses to this entry through the RSS 2.0 feed. You can leave a response, or trackback from your own site. All I can say is “We are going through the exact same problem as I type this”. I am soo disappointed!! Spending approx. 10,000.00 on our bathroom renovations and I can’t believe that it all has to be ripped out!! 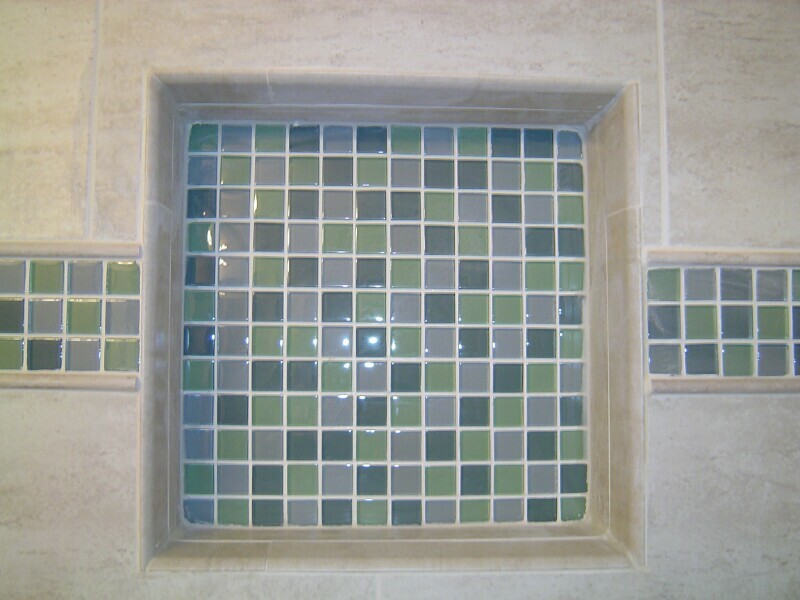 The same issues as you…unevenly spaced tiles, grout lines don’t match, tiles are not flush and so on!! Don’t these guys see this when they are laying the tile??? Why is it that the customer has to say something….puts us in the real bad situation. Wish we had read this before we hired Sauter Custom Tile, rather than rely on homeadvisor.com. We hired him, and it’s been a mess. Same problems as shown in these photos. Terrible job of grouting, very, very sloppy finish work all the way around. We also had to have him or his colleague come out multiple times and still poorly done. 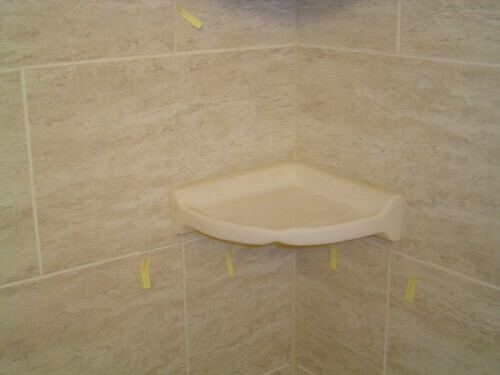 We added porcelain corner shelves when having our shower re-tiled and after pointing out to him a couple of times how bad the grouting was around the shelves he just slapped a big glob of grout in the corner. Perhaps out of spite?? His bank bounced our check for some reason that our bank can’t decipher (more than 5 times the amount of funds needed were in our account), and I know that made him angry. But the quality of his work is so shoddy that I wish we hadn’t had to pay him at all! We will definitely inform homeadvisor.com and spread the word to anyone we know who’s planning to tile. 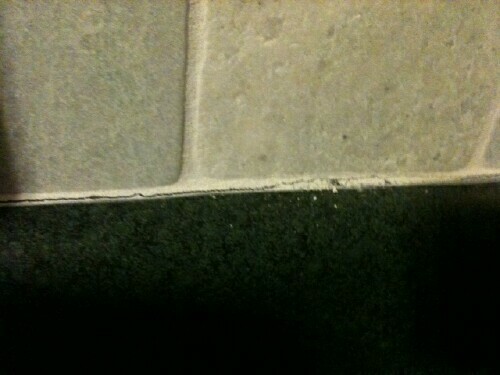 Sauter Tile is horrendous! Run, don’t walk away. Hi Bernie – we went through teh same thing with Todd with his work completed in Jan 2014. I had not posted any reviews for fear he would not keep his word on warranty. But after having him back out 3-4 times and realized that he is incapable, we gave us. We like Sandra above, have about $10,000 invested in a bathroom that looks like crap. And grout that is coming out of our master shower pan. I just posted an Angie’s List review and am thinking about also filing with BBB.org. Any suggestions? Did you ever get anything for your issues? Please do report him to the BBB! Unsuspecting potential clients need to know he work is at the very least suspect. He also recommended a plummer to put in the new piping – he put it in without insuring it was in the middle of the tile – it has since moved and any grout just cracks. Todd did pay for another contractor to come in and fix “some” of his work – be relentless and let him know you will get a lawyer!! 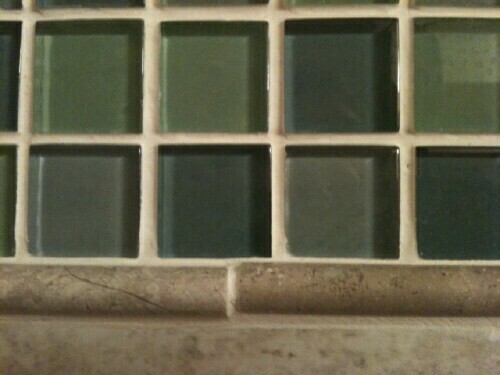 My husband and I also had an issue with Todd’s workmanship on installing tile on the back splash in our kitchen. His attention to detail was very lacking. 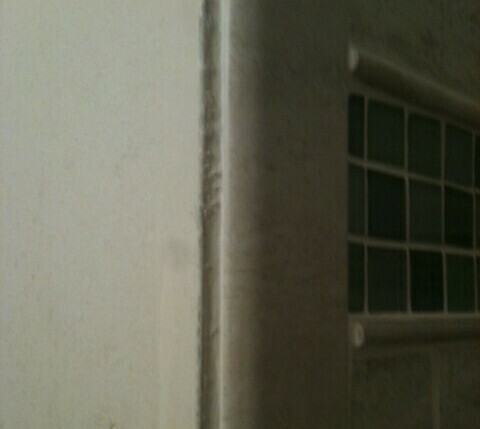 After completing the work, I noticed the decorative tile that was installed above our stove was not level. My husband called Todd immediately so he could rectify it before the tile was set. Reluctantly, he returned, and was very defensive when we pointed out that the tile was unlevel. He used his level and assured us that it was perfect, even though to the naked eye, it clearly was NOT. My husband noticed that when Todd used his level on the side that was off 1/4 inch, that Todd put his thumb under the level so it would show us that there was no problem. He was very defensive and said he could not see what we were seeing. We were persistant that it was unlevel and fortunately he was able to move the tile up and put a spacer underneath to hold it in place. 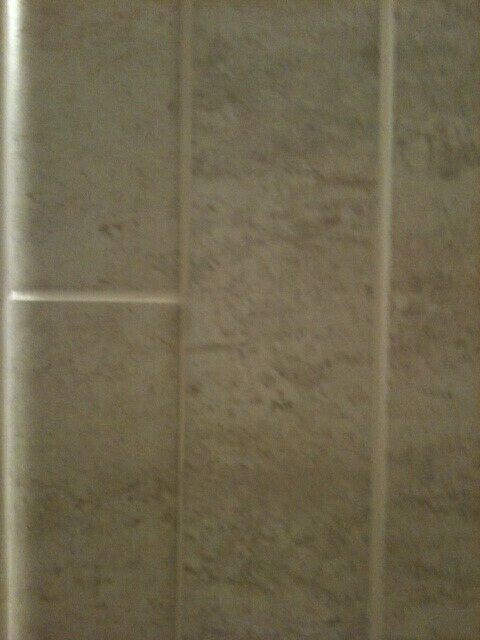 When he grouted the tile, he was short grout, and my husband had to purchase more grout to complete the job himself. We were very disappointed with Todd’s attention to detail and would not recommend him to our friends or family. So sorry you experienced just a bit of the bull crap Todd sells. Post it everywhere that his work is so underpar he is someone to stay away from. I post it on my blog as you have seen and facebook and twitter regularaly – I keep looking for other places to post it as well and you should too! At least your issue was fix-able – mine really was not and continues to plague us. I will have to rip it all out and start all over as soon as I can find the money to do it all over. Im sorry to here such complaints. For sauter custom tile but its my fault…..im sure i should have had claim on many of the pictures he showed off during my tenure….. i aint mad at him for using my quality work at the end cause he use to care about his quality of work as he showed me….. when i took over he quit. Then i left sauter custom tile and he was lost. !!!!! He knows how to do good work ….just forgot talk is cheap and your only as good as your last job!!!!! So sorry you had to endure Todd’s BS work. This was the worst remodeling experience of our lives! Stay away from Todd Sauter/SCT Remodeling! I too had the same expierience with Todd Sauter and his horrible craftsmanship, lack of detail, and general soddy work. He has all but abandoned the Sauter Custom Tile name. He will soon be operating as, if he isn’t already, SCT Remodeling. Something about your site has spooked this guy. I doubt his attention to detail will return with a name change. Todd Sauter retiled our shower and since he finished we had to call him back twice because there was a leak. He came out inspected it and then blamed the issue on something totally unrelated. He does not stand by this work and is not a man of his word. DO NOT HIRE HIM. Here is the most frightening thing about Todd Sauter. He is also a pilot. His work, attention to detail, and skill are horrific when it comes to tile and remodeling work. Can’t even imagine how scary flying with him as the pilot would be… He did a tile job in our house and it was so bad we had to have it redone. Cost us twice as much. Here is just a snapshot of how bad his work is. He took a pair of channel locks and used it to screw on one of the bathroom fixtures. In the process he scratched the finish so badly we had to replace it. Did offer to pay for it… NO. Todd Sauter is a horrible contractor, and probably an even worse pilot.